Versatile and affordable…that’s what most folks have to say about the Frenzy, Ocean Kayaks hugely popular vessel. We did our own little Ocean Kayak Frenzy Review, and to say the very least, we found this kayak to be one of the best in its class. Well, by reading this post and by checking out videos like this one, you’ll be able to clearly see that not only is the Frenzy stable and compact, but it’s also a lot of fun to use out on the waters. The Ocean Kayak Frenzy is a Sit-on-Top recreational kayak, which means that it’s a solo kayak. For a 9 foot kayak, the Frenzy packs quite a powerful punch as far as interior space and comfort go, and the fact that its super lightweight just adds yet another silver lining to the whole deal. 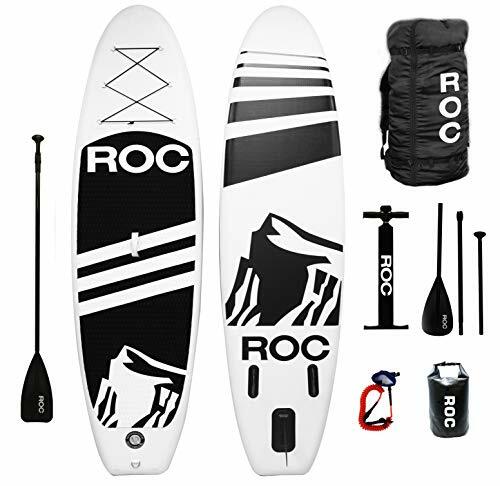 This ensures that transporting the frenzy to your paddling spot and back home again can be done alone and with the least amount of effort. As far as the seat goes, we have to say that the Frenzy is comfortable to sit in. with its padded cushioning, the Frenzy gives you all the support and durability you’ll need to have the best paddling experience. Because of the large stern tank, the Frenzy offers a lot of onboard storage space which is always a nice thing to have. It also comes with bungee cords, which give you, even more, storage space. The design of the Frenzy was cleverly thought out, made to float with the utmost of ease. We also liked the addition of a bow and stern carry handles, and of course the replaceable rear skid plates. Both on and off the water, we reckon that handling this kayak can be done with the utmost of ease, making it the ideal fit for a newbie or even kids looking to try their hand at kayaking. Durability. Since the Frenzy has been constructed to be tough and durable, performance is right up where you’d expect it to be. Given its very affordable price tag, the Frenzy is one of the leaders in its class, making it a fun and affordable way for newbies to establish whether or not kayaking is the right recreational sport for them. Its super easy to paddle. The Frenzy is perfect for beginners that don’t quite understand the art of paddling because it’s so stable. Another perk is the light total weight of the Frenzy, which adds to its manageability out on the water. Storage space. The Frenzy offers oodles of onboard storage space in the cockpit and also with the bungee cords, which is perfect for storing paddles when they’re not in use. Comfort. The Frenzy comes with cushioned seats and aftermarket seats can easily be fitted in order to add some more comfort to the whole experience. Another great comfort feature is the addition of adjustable foot braces that can be found on the Ocean Kayak Frenzy. No cup holders. We get that this point might sound ludicrous, to say the least, but a lot of folks just feel like a kayak needs to have at least one cup holder, something which isn’t found on the Frenzy. Specifically sized. The Ocean Kayak Frenzy will sadly only accommodate people with a certain body build. If you weigh over 135 pounds and you’re very tall, this will not be the ideal kayak for your needs. 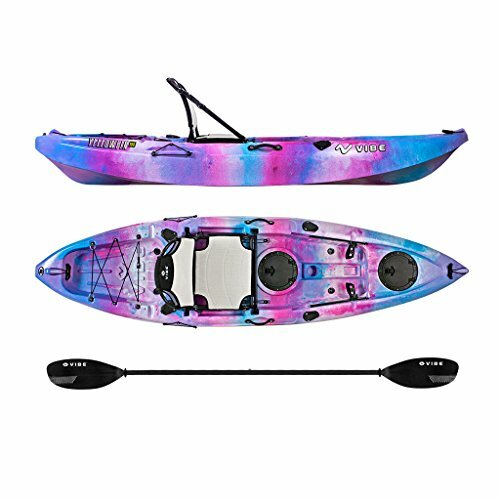 As mentioned before, the Frenzy is a 9 foot kayak, but it only has a total weight of 43 pounds and can accommodate a person of up to 200 pounds. It comes available in a few different color schemes. To help paddlers transport their vessel, the Frenzy comes with carrying handles on the stern and box. Also, it sports side-molded carry handles and some great comfort features as well. The Ocean Kayak Frenzy is a recreational solo kayak. This SOT model will be a great option if you’re paddling for sightseeing applications, not fishing or diving, however. If you’re a newbie looking for an affordable and durable recreational kayak. The Frenzy is a solo kayak, which means that it won’t be what you’re looking for to accommodate two paddlers at the same time. Kids will do well with a kayak like the Frenzy because it’s so compact and short. If on the other hand, you’re a tall paddler, this might not be your ideal option. Calm lakes, rivers, and even large backyard ponds will be best for use of the Ocean Kayak Frenzy. Subjective to your skill level, you may be able to use the Frenzy out on the ocean and wilder waters, but you should take caution when attempting this as the Frenzy was made with calm-water use in mind. The Frenzy tracks pretty decently, but because it was made to be used on rivers and lakes, you shouldn’t expect touring-kayak standards here. It is, however, good enough to be used on calm water surfaces where tracking won’t be a major deal. The good news is that tracking and maneuverability go hand in hand; making the one better if the other isn’t exactly amazing. The Frenzy offers great maneuverability, providing you with the ability to reach pretty decent speeds out on the water. Is the Ocean Kayak Frenzy a good recreational kayak? Yes, by all means, yes! You would have seen that by just reading our review. We’ve shown you that it could be a great investment for a family since it’s perfectly suitable to be used by both the kids and the adults in the family. As one of the best mid-range kayaks in its class, the Frenzy is also perfect for newbies looking to strike the right balance between price and performance. Not only does the Ocean Kayak Frenzy offer you some amazing features, it also comes to you at a great price point, and we’d be happy to recommend this product to anybody looking to invest an a solo, entry-level kayak!